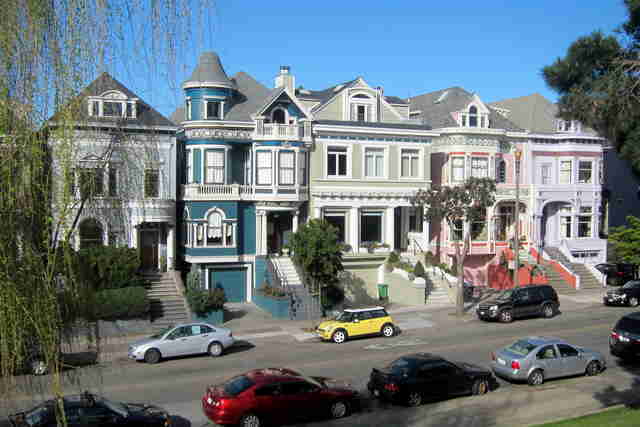 Some San Francisco neighborhoods still have the same names they were bestowed when the city was founded in 1776, while others have nicknames slapped onto them by real estate agents just a couple years ago. 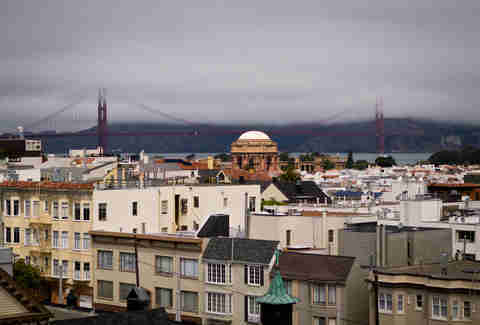 To understand why San Francisco neighborhoods have the names they have, we must first understand that San Francisco wasn’t always San Francisco -- it was a Spanish port after Spain colonized the area from the Ohlone people (1769), then became a Mexican city named Yerba Buena when Mexico declared independence from Spain (1821), and then San Francisco when the US claimed California in the Mexican-American War (1846). All of these factions are still represented in modern-day San Francisco street and neighborhood names. Most neighborhoods have had many different names over the city’s history. 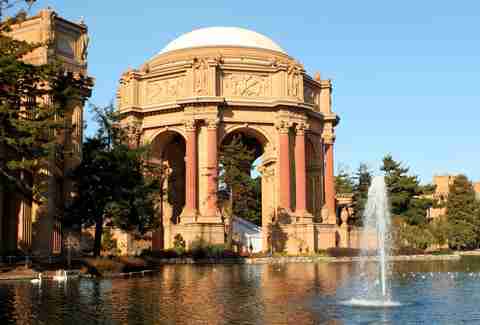 Aside those named for very obvious reasons (Financial District, Fisherman’s Wharf) and those named for boring Gold Rush captains of industry (Haight-Ashbury, Cole Valley), how did San Francisco neighborhoods get their names? Previously called Eureka Valley, this neighborhood began from ranchos owned by Mexican land barons like José de Jesús Noé. Known as Finn Town and Little Scandinavia for its early 20th century concentration of Swedes, Danes, and Norwegians, The Castro takes its name from commander José Castro, who fought against the US in the Mexican-American War (1846-1848). 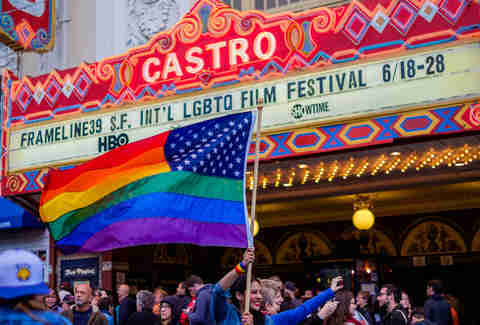 The neighborhood took on the name of its central street and iconic movie theater marquee when it emerged as a gay neighborhood in the 1970s. A debate still rages in modern-day San Francisco on whether this neighborhood should be called Western Addition or NoPa. The Western Addition camp argues that “NoPa” is simply a gentrifying rebrand but that’s not necessarily so! 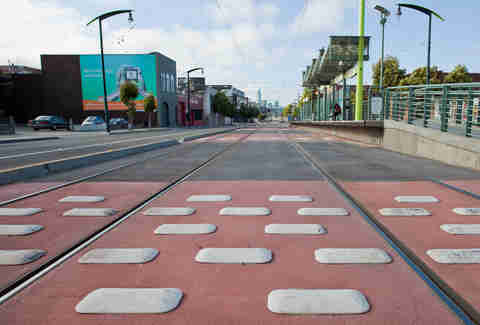 Western Addition is indeed a legacy name from 1855, when the city limits of San Francisco technically ended at Larkin St. Mayor James Van Ness moved these borders to claim the Western Addition area as a new western addition to San Francisco, dubbing it thusly. But the term “North of Panhandle” is not a new invention, and has been in the San Francisco lexicon for at least 100 years. City municipal records show the existence of a North of Panhandle Improvement Club way back in 1916. The term “NoPa” is indeed an acronym of this, and its very recent adoption has been facilitated by the area’s popular restaurant called Nopa. There are a few different theories on why this neighborhood is called Dogpatch, none of which can be verified. Some say it’s for the packs of hungry dogs that once roamed the local streets, some chalk it up to the prevalence of dog fennel plants, and others argue the name was lifted from the old-time comic strip Li'l Abner. The hungry dogs theory makes the most sense, as the area was previously a slaughterhouse district known as Butchertown. Woof! Nicknamed “Couch Hollow” for its cluster of therapist offices, this upscale neighborhood was first named Spring Valley for its freshwater springs. The area’s pastures were great for grazing cows, and a dairy farm industry popped up in the 1800s. Records show 38 dairy farms were located in the neighborhood back in 1838; the industry lasted until the 1880s when the city’s Board of Health moved the dairies to other parts of San Francisco. We’ll lump these four together because they’re all simply words from the Spanish language. Embarcadero is Spanish for “wharf,” Presidio is Spanish for “fortress,” Marina is Spanish for “coast,” and Potrero is Spanish for “pasture.” While San Francisco’s coastline has changed from the original Front Street in today’s Financial District to the Embarcadero, and the pastures in Potrero Hill are long gone in favor of homes and industry, the city’s Spanish influence remains strong. It’s no surprise that The Mission is named for Mission Dolores church, whose original structure is the oldest building in the city. 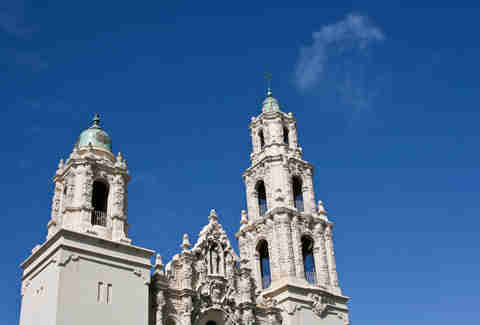 It is a surprise that Mission Dolores church was not actually named Mission Dolores church! The place was originally called Mission San Francisco de Asís until the larger basilica that we now know as the church was opened in 1918. 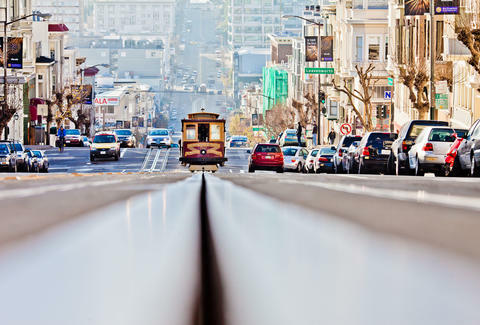 You already know that SoMa is a portmanteaued acronym for “South of Market.” You may not know it is also a repurposing of the neighborhood’s early 20th century nickname “South of the Slot,” which referred to the area south of Market Street’s cable car slots and was also the name of a popular Jack London short story. 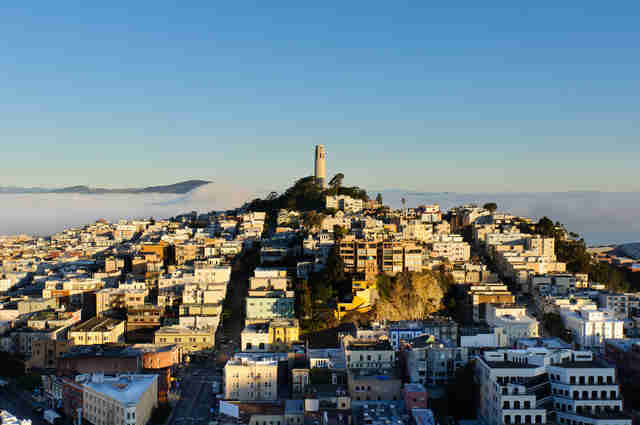 Yes, Russian Hill is named for Russian people -- dead Russian people. A cemetery sat atop the hill from 1848 to 1859 that featured a Russian cross, and all of the names on its headstones were written in Cyrillic. The city voted to prohibit burials within city limits 1900 and much of the Russian population moved to the outer Richmond, but the name stuck. Back in the Gold Rush days, “Excelsior!” was a common phrase used in high-five situations and was Latin for “Ever upward!” In 1869, a consortium of landowners bought this parcel from José Cornelio Bernal (pronounced ber-NAHL), a Spanish soldier who was granted a 4,500-acre land parcel stretching from what we now call Bernal Heights to what we now call San Mateo County. The swath of land was called the Excelsior Homestead and the name remains today. 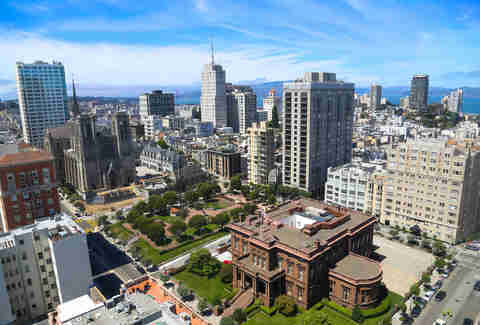 Nob Hill has been a luxury neighborhood with a view since the late 1800s when its residents included railroad barons Leland Stanford and Mark Hopkins. (Perhaps you’ve heard of other things named after them!) The term “nob” is short for “nabob" -- 19th-century slang for a wealthy individual originally used to describe British officials reaping fortunes from their empire’s involvement with India. The reason behind the neighborhood nickname China Basin is surprisingly not-racist. The region was built on landfill in the mid-1860s and was used primarily as a dock for the Pacific Mail Steamship Line, a fleet of whose boats were called China Clippers. 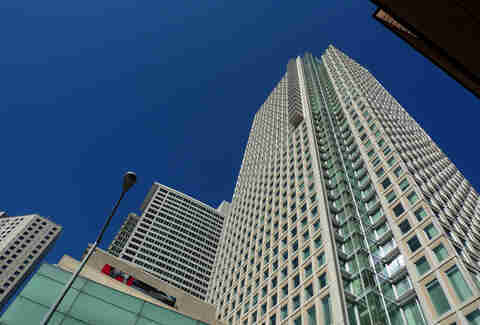 The area’s shipping history is a far cry from its current use as an office park and site of AT&T Park. 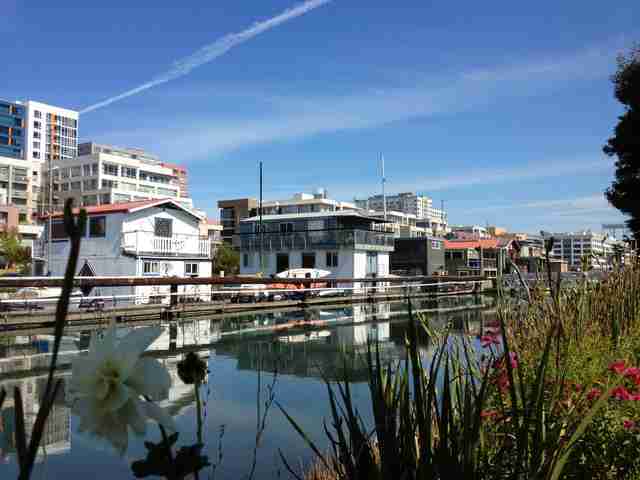 China Basin is also borders the inlet where Mission Creek flows into the bay, where a number of houseboats reside. Way before the electrical telegraph was invented, semaphore telegraphs (a system that uses towers with pivoting shutters to visually convey information) were used to blink messages from the heights of tall rowers or hilltops. One of these semaphore telegraph stations sat on what we now call Telegraph Hill, alerting the town to the arrival of cargo ships during the 1860s. Today a larger tower sits atop the hill, and an invasive species of Ecuadorian parrots live in its trees. 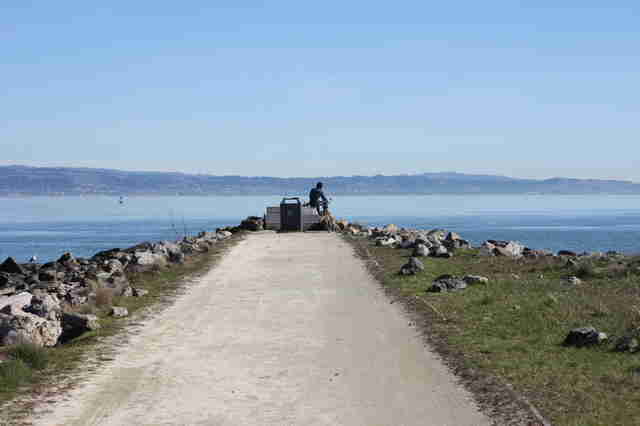 The hyphenated Bayview-Hunters Point has two names, both of which have different origins. 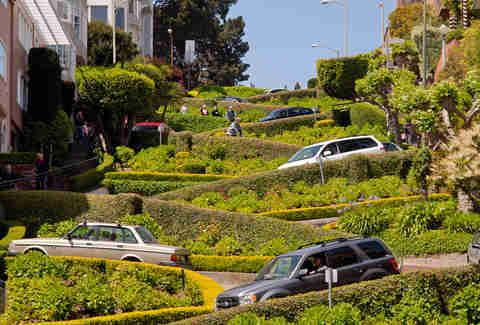 The more fascinating of the two is Bayview, which gets its moniker from a big-money Gold Rush horse track built in the there called the Bay View Race Track & Park (and owned by George Hearst, father of “yellow journalism” magnate William Randolph Hearst). 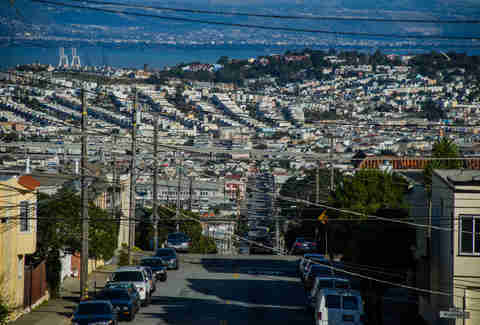 Hunters Point, meanwhile, was named for brothers John, Philip, and Robert Hunter, who bought that land in 1849 from, once again, José Cornelio Bernal of Bernal Heights fame. Joe Kukura is a freelance writer who starts fights in bars when people call it “NoPa.” You can fight with him on Twitter at @ExercisingDrunk.